How Do I Update My Kitchen Cabinets? 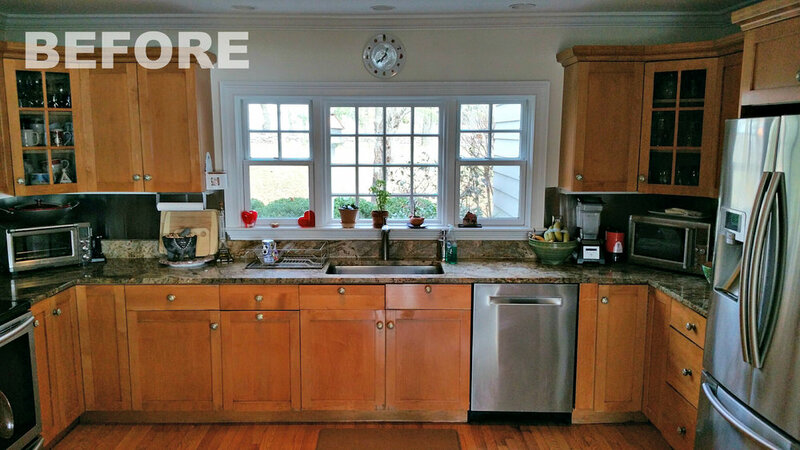 Reface, Refinish or Remodel? If you’re like most homeowners, it is easy to get overwhelmed by the sheer amount of options for updating or upgrading your kitchen space. Whether you are considering painting, refinishing, refurbishing or completely remodeling, check out the below article by Houzz before you get started to see if we can help you with your kitchen goals. Thinking About Adding a New Island to Your Kitchen? Read these Tips! Kitchen Islands (both small and large) not only add storage capacity, but also increase counter-top space for the rest of the kitchen. With the amount of choices and options out there, read more to find out if your kitchen is an ideal candidate for a new island! Are you ready for some COLOR, we sure are! We are still only in Q1 of 2018, but we have already noticed a sea change in the industry toward bold pops of color as well as nature inspired tones in kitchen cabinetry. White and Off-white shades paired with a shaker style inset cabinet door will most likely remain the classic choice in our geographic area, but we are very excited to see clients embracing some new colors in their kitchen remodel choices. Displayed above is one of our new sample swatches in Fossil Gray for our clients who are considering a greige cabinet paint color, but want some extra definition to make the door style pop! Driftwood has also been a style that has been gaining popularity this year. 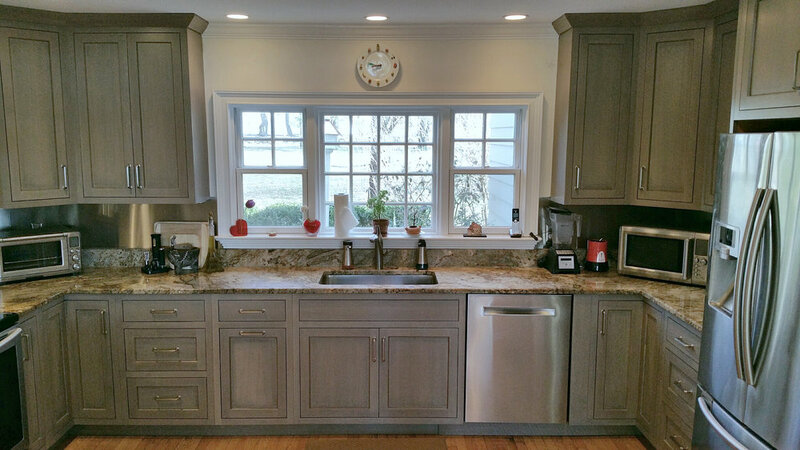 Below is a recent kitchen project we completed in Darien CT. Our client selected one of our newly released Driftwood stains with Pewter Grey glazing on Quarter Sawn White Oak. We also extended the existing cabinetry to the ceiling for a formal look. Paired with the sleekness of stainless steel, this kitchen was completely transformed all without a rip-out/replacement and while saving all other surfaces. Give us a call today or contact us to take a look at these trending new stains and paints in the comfort of your own home! Organization vs Storage: Ideas for Tackling Narrow Kitchen Cabinet Spaces! Thinking About a New Over the Range Hood in the Kitchen? New Neutral Kitchen Cabinet Paint Colors for 2017! Wondering How to Hire a Home Improvement Contractor? Read These Top 3 Tips! What is Kitchen Cabinet Remodeling and How is it Different from New Cabinets & Cabinet Refacing? In general, people know they can rip-out and replace all their kitchen cabinets, or reface/resurface or paint them if they just want to “spruce them up”. However, many people are falling somewhere in the middle, where they don’t see the need to tear-out their good cabinets, but they want a completely new look with high-quality custom products. Getting a Handle on It! Are you tired of losing items in the back of your narrow cabinets or having to empty an entire shelf to find something? If you are like many of us, those narrow upper and lower cabinets tend to get stuffed full of items as they are often too tight to fit roll-out shelving or dividers. Most standard kitchens will have at least 1-2 of these types of cabinet spaces, leading to a very common clutter situation (see photo). Check out the below idea to help you clean up and organize for a more usable space. If your cabinets are standard depth (~12”) with adjustable shelves, then one great storage idea is using baskets with handles to wrangle up all your loose items. They can be clear, decorative wicker or white plastic (shown below) and can easily be found at many department or major home goods stores. With this approach, you may find some storage capacity will be reduced, however you can certainly make up the difference in time and saved money. While a kitchen remodeling project will certainly force you to empty and sort through all your items, why not start the declutter and organization process today! If you have your sights on either upgrading or installing a new range hood as part of your kitchen update project, read our below tips to ensure a smooth remodeling experience. This is the biggest choice that impacts the most factors in the process. Both choices can easily accommodate any style kitchen, however price should be a consideration. We provide a wide selection of wood hood styles to choose from that can be sized to fit your exact kitchen specifications. Due to the sourced material, construction and additional finishing work, wood hoods can be at least double the overall cost of a stainless steel model. If you have your heart set on a wood hood, you will need to purchase a separate blower unit appliance to be installed. Most stainless steel models have the unit pre-installed. We have found that our wood hood vendor often provides better kits, which can be installed by an appliance pro. Depending on the existing structure and layout of your kitchen, additional work may need to be performed to install new or modify the existing setup to accept the new hood. This may include sheet rocking or having a HVAC professional re-route the ducting to a suitable outside location. 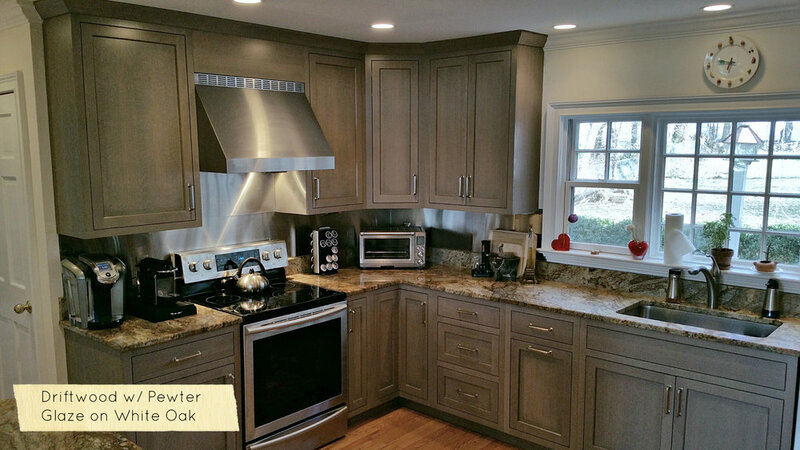 It is important to keep in mind wood hoods, unlike stainless steel hoods will take additional lead time for construction and finishing to blend with your kitchen cabinetry (either a paint, stain or accent color). We recommend factoring at least 4 weeks for delivery. Now that all style and factors have been determined, a meticulous installation will make a major difference! For best visual appearance, wood hoods will be hung and then will be trimmed in with molding for a polished and finished look. Oftentimes, a stainless hood can be hung by an appliance installer without the need for additional moldings. Give us a call or contact us today to see how we can help you incorporate a new range hood into your kitchen remodeling plans! Say hello to these new sophisticated neutrals designed for 2017! As part of our classic cabinet door series, these soothing tones can easily re-fresh your kitchen space or add interest to an accent kitchen island. Showcased on our most popular shaker kitchen cabinet door styles, this palette can play well with transitional to traditionally styled kitchens. If you are looking for a design alternative to the classic white kitchen, contact us today to see these brand new samples in the comfort of your own home! Be sure to have a peek at our project gallery for even more inspiration.